With over 35 years of expertise in sales and marketing excellence, Sandy Justen built her success as a residential real estate agent upon a strong foundation of service and integrity. An advocate for her clients in every sense of the word, Sandy understands the importance of discretion and privacy, sound advisement, and unwavering rectitude. Together with her business partner Julie Biniasz, Sandy is a founding member of the Realogics Sotheby’s International Realty flagship Seattle office. The two are consistent top producers and are among the highest in price points for their sales. Sandy and Julie were ranked the #1 Seattle broker team in Sotheby’s International Realty in 2017. They have generated over $300M in sales, earning recognition by the Wall Street Journal on the list of the top one-percent real estate brokers in the world and on the REAL Trends “The Thousand” top teams of 2015. Sandy and Julie were hand-selected to represent Seattle’s landmark Fifteen Twenty-One Second Avenue condominium community in 2005, working on the project from conception to sell-out, even calling it home all these years later. They specialize in select residential real estate with a strong focus in downtown Seattle that radiates outward to the Eastside and other coveted enclaves around the Sound, meeting their clients wherever their needs lie. Though Sandy and Julie are first and foremost regarded for their experience in condominium residences, they are equally primed to serve clients across a range of property types, from destination and world class retreats to large estates, in-city bungalows and beyond. When not in the office, Sandy enjoys spending time with her husband William Justen, a well-known figure in Seattle development. She travels to Europe every year for a bicycling trip, is currently in pursuit of Italian fluency (which she calls a daily struggle) and is passionate about fine dining and wine from around the world. 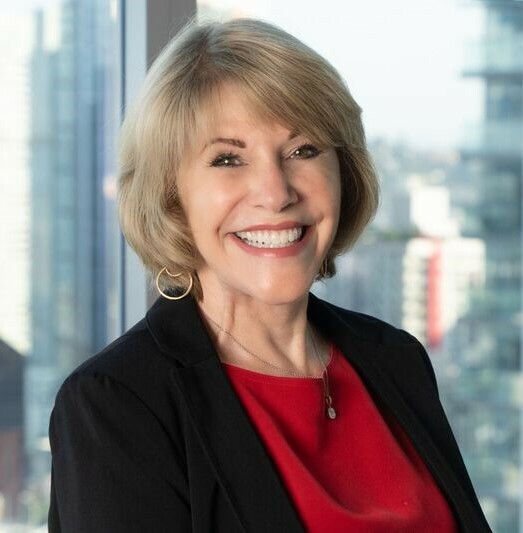 Deeply connected to the local community, Sandy is a member of the Downtown Seattle Association and strong supporter of the organization, having served on the Downtown Residence Council for years. Sandy and Julie are also proud to support Olive Crest, which provides resources and services to neglected and abused children and families.